Identifying and tracking steel during production can present manufacturers with special challenges. In nearly every industry, barcoding has long been a key technology used to quickly and accurately track, trace and retrieve items (with varying levels of automation) - allowing for significant improvements in inventory and stock-control systems. When a Japanese manufacturer sought improvements in identifying and tracking their products, they turned to machine vision from The Imaging Source for a solution. 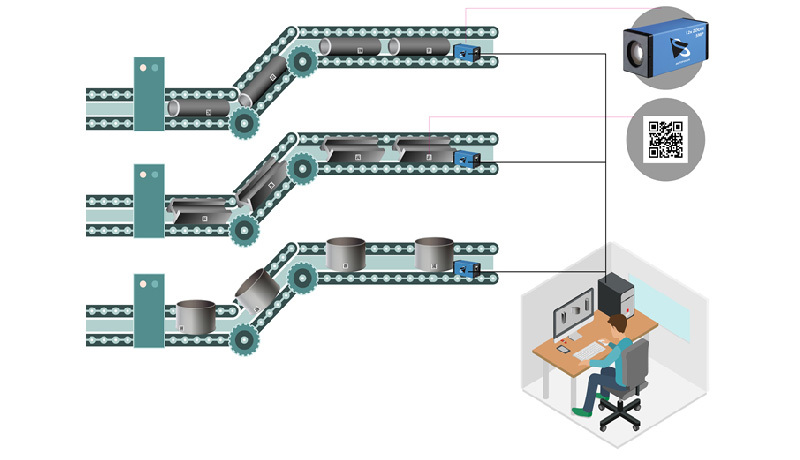 Machine vision and barcode tracking: Large steel products are easily tracked and checked for quality issues using barcode tracking with machine vision. Linear (1D) barcodes have provided reliable track and trace functionality for decades. Even though barcoding is a straightforward, largely automated task, 1D scanning proves most robust when barcode orientations are tightly controlled which usually requires precise positioning of the product. 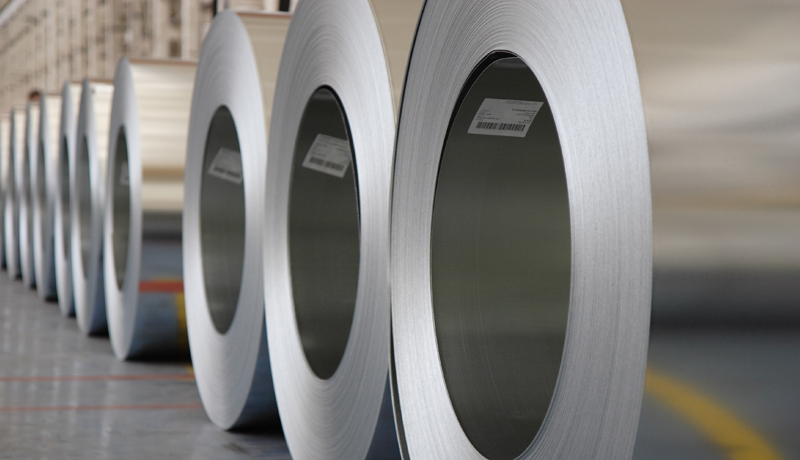 Many steel products are, however, heavy or otherwise cumbersome which makes consistent orientation of barcodes difficult - leading many mills to opt for the continued use of manual processes (e.g. quickly sprayed or chalked hand-written characters with manual reading and data entry). Loud, busy, poorly-lit factory environments, worn labels/characters and human factors (e.g. fatigue, state-of-mind etc.) all contribute to mistakes on the shop floor - costing the manufacturer time and money. The mill's process engineers chose The Imaging Source's GigE color zoom cameras and barcode-recognition software such as IC Barcode. The Imaging Source's zoom cameras feature global as well as rolling shutter sensors from 1.3MP up to 5MP and include a motorized zoom, focus and iris which are powered by the GigE interface via PoE. The cameras' optical zoom function allows the system to capture not only the barcode data as the items go by but also important visual information about product quality - even when distances between camera and object change or positioning is less than optimal. Zoom cameras installed on the production line: Barcodes and important visual information about product quality are captured - even under less than optimal conditions. Via the cameras' GigE interface, image data is transferred to the host PC. Unlike laser-scan systems, image-based barcode recognition is not limited to 1D barcodes. The image-based system allows production managers to use 1D or 2D barcodes or alternatively to use them both. IC Barcode software, for example, locates and reads 1D and 2D barcodes in any orientation and can also be configured to scan only specific barcode symbologies and orientations or set to a region of interest to speed up detection and decoding. When present, IC Barcode converts the barcode's image data into usable information which is then recorded by the host PC for future retrieval. A variety of surface defects in steel are common. Therefore, an image-based system delivers additional quality control benefits: The Imaging Source's integrated zoom lens quickly adjusts to capture additional images of the steel allowing quality control managers to carry out vision-based surface inspection of the steel assets. The vision system reduces costly errors while improving efficiency, accuracy and worker safety.